From #1 New York Times bestselling author Jamie McGuire comes a riveting tale of first love that starts young but runs deep. The first time Elliott Youngblood spots Catherine Calhoun, he’s just a boy with a camera, and he’s never seen a sadder and more beautiful sight. Both Elliott and Catherine feel like outcasts, yet they find an easy friendship with each other. But when Catherine needs him most, Elliott is forced to leave town. Elliott finally returns, but he and Catherine are now different people. He’s a star high school athlete, and she spends all her free time working at her mother’s mysterious bed-and-breakfast. Catherine hasn’t forgiven Elliott for abandoning her, but he’s determined to win back her friendship…and her heart. Just when Catherine is ready to fully trust Elliott, he becomes the prime suspect in a local tragedy. Despite the town’s growing suspicions, Catherine clings to her love for Elliott. But a devastating secret that Catherine has buried could destroy whatever chance of happiness they have left. 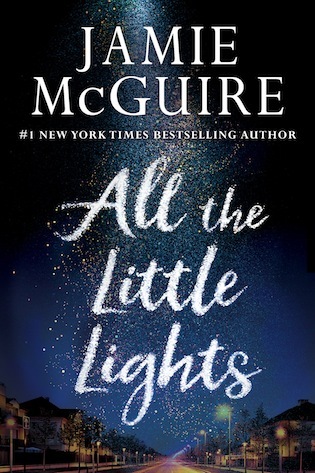 Jamie McGuire is the #1 New York Times, USA Today, and Wall Street Journal bestselling author of Walking Disaster, the Maddox Brothers series, the Providence trilogy, and the international bestseller Beautiful Disaster, which paved the way for the new-adult genre. She was the first independent author in history to strike a print deal with retail giant Walmart, and her work has been translated into fifty languages. 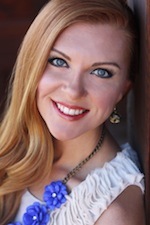 She lives in Steamboat Springs, Colorado, with her husband, Jeff, and their three children. To learn more about Jamie, visitwww.jamiemcguire.com, or follow her on Twitter @JamieMcGuire.